As things have got a little scrappy on the daily timeframes it's best to look at the weekly charts for some perspective. The Russell 2000 has proved itself as the lead index with a sharp acceleration in its bullish trend since the end of 2012. The narrow channel is the one it currently honors, although given the angle of ascent it won't be able to sustain that forever. The broader channel from the middle of 2011 is the one determining the secular trend. When the narrow channel breaks, then look for either the resistance line of this channel to play as support (given prices are above such levels), or failing that, look for a move down to broader channel support - currently around 925. The weekly chart for the Dow doesn't look as bearish as it does on the daily. If anything, the Dow is in a consolidation phase bound by 14,764 support and 15,623 resistance. 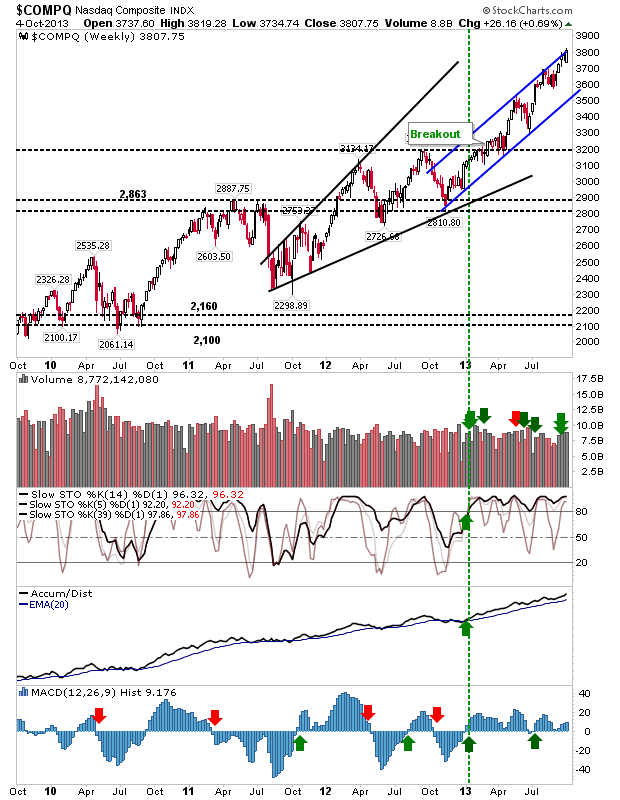 It could be 2014 before this sideways move comes across rising channel support (and begins the next phase of its rally). 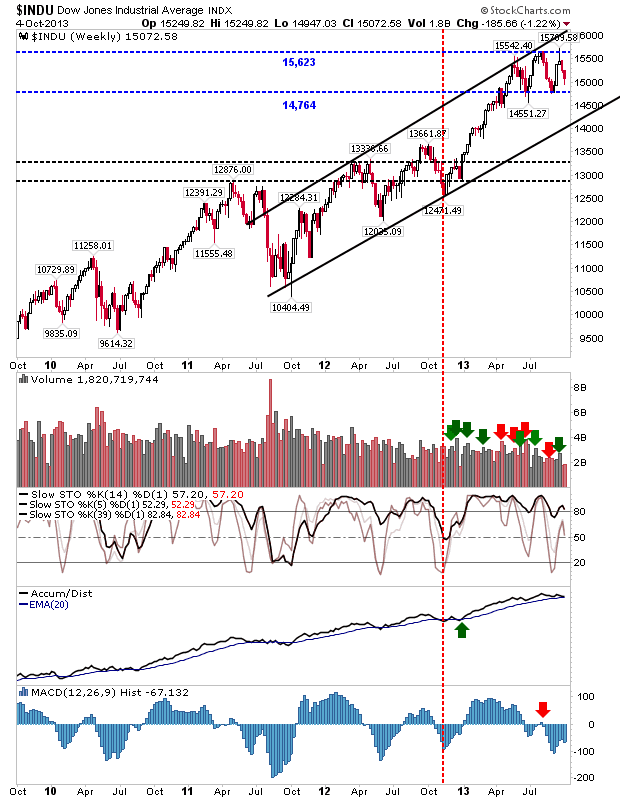 The Nasdaq has managed to place itself inside a more predictable rising channel, rather than the scrappy broadening wedge from 2011. Bulls can keep riding the upper channel. A sell off to channel support will offer a chance for sideline money to buy in. 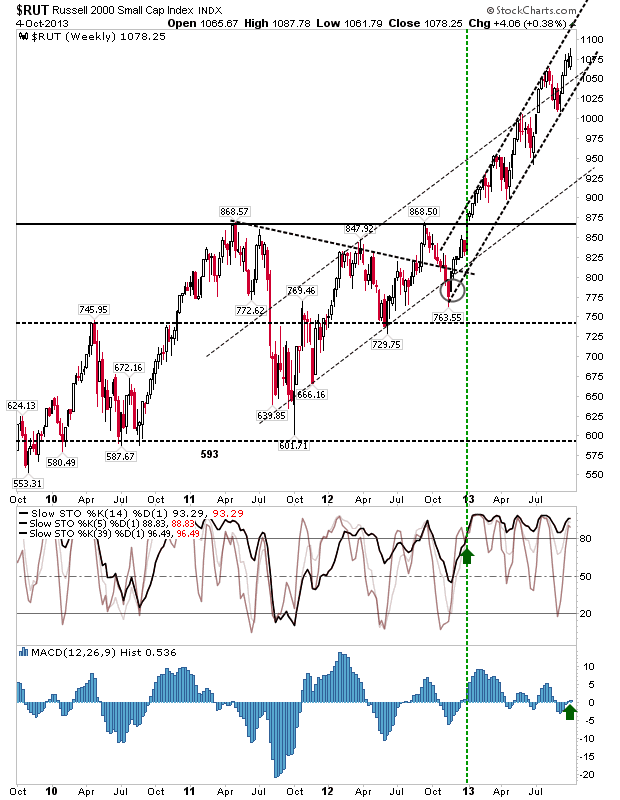 The Nasdaq Summation Index in its last decline turned net bearish technically. While this isn't a deal breaker, it's a warning the selling has more momentum than at any point in the past. 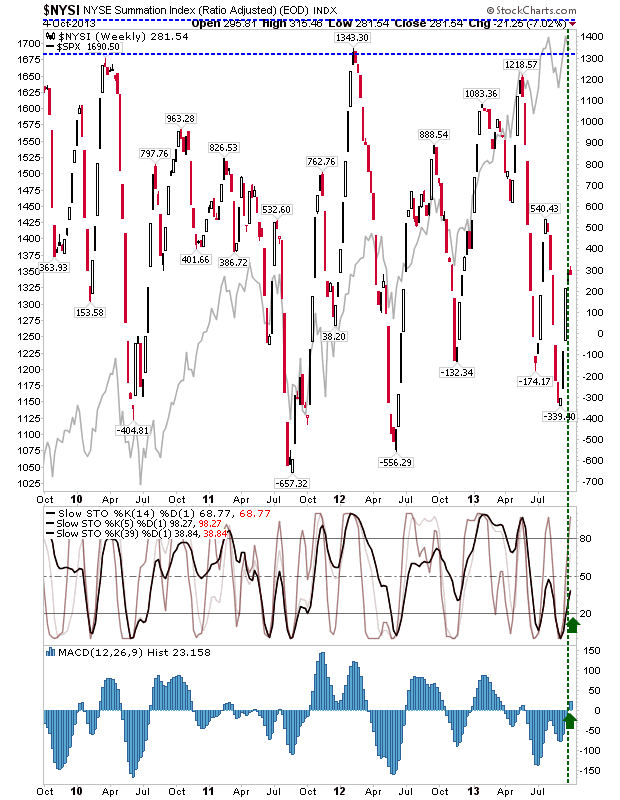 It's also an opportunity - something similar happened in early 2012 and it marked a major trading low. Not sure we have seen enough from sellers for such a low, but there is plenty of room for upside. 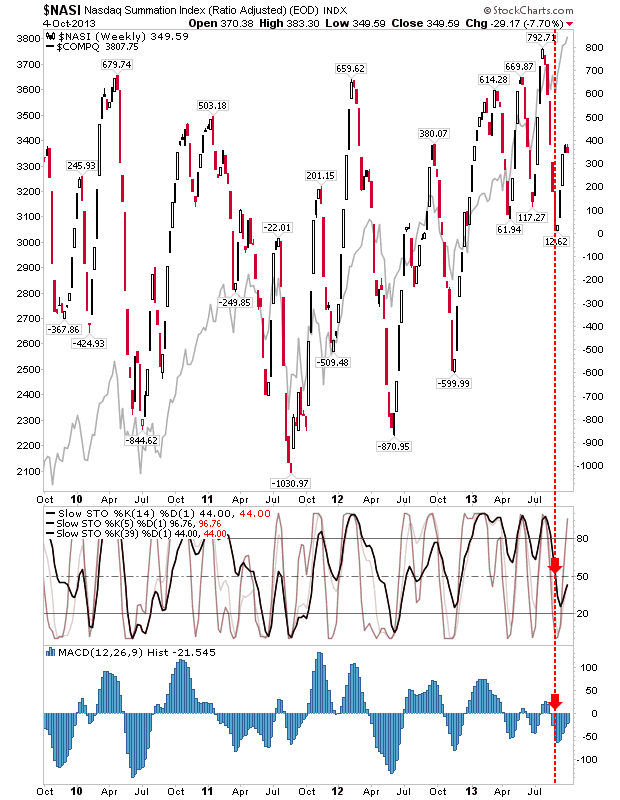 In contrast, the NYSI has offered itself as a buying opportunity - technically. The weekly picture continues to favor bulls, despite the daily uncertainties. Until proven otherwise, long positions hold the path of least resistance.